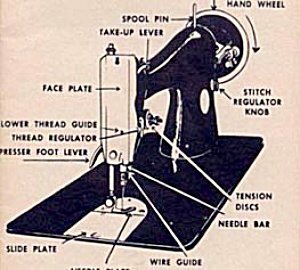 With your machine learn threading, bobbin winding, tension, and pressure adjustments, basic machine maintenance, stitch selection, basting, gathering, seam finishes, blind hem, buttonholes, basic 1/4" piecing, applique and more. Learn about proper needle selection, good threads v.s. bad threads. Discover what the buttons & dials on your machine are used for! Create a notebook of techniques with details on how you did them on your machine. Class is free with purchase of machine at Sandy's Fabrics & Machines.